Bakersfield California Police Department charged with police corruption and poor oversight. 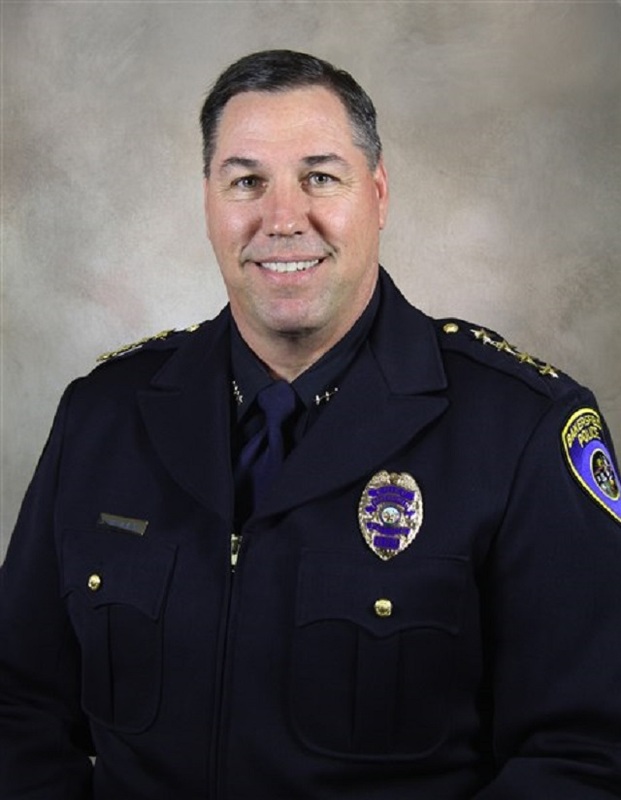 Fourteen hours after a respected local attorney dropped a number of verbal bombs on the Bakersfield Police Department, alleging police corruption and poor oversight, Chief Greg Williamson claims allegations were overstated. Yeah sure. When it comes to law enforcement corruption, where there's smoke, there's an uncontrollable fire. There are honest law enforcement officials out there, but there are far more eaten up with their power. 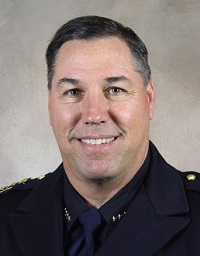 Fourteen hours after a respected local attorney dropped a number of verbal bombs on the Bakersfield Police Department, alleging police corruption and poor oversight, BPD Chief Greg Williamson went before the microphones Friday to say that while serious problems have come to light, Thursday night’s allegations by veteran attorney David Torres were overstated. At a press conference inside his downtown office Friday morning, Williamson sat at his desk before a row of cameras and acknowledged the shame Torres’ client, former BPD Detective Damacio Diaz, has brought upon the department. In a plea agreement made public Thursday, Diaz admitted to a litany of crimes while he was working as a cop, including taking bribes, large-scale distribution of methamphetamine, working in partnership with a known drug dealer, stealing evidence and providing police intelligence to criminal partners. In addition to Diaz, Williamson said he expects one additional indictment of a former police officer to be handed down in connection with a federal corruption investigation of his department. But Williamson discounted Torres’ assertion that a “substantial amount of police corruption” exists within the department and that a number of officers will soon be indicted. Five additional officers were under federal investigation, Williamson acknowledged. But they have been cleared, at least at the federal level, he said. Williamson said he talked with the assistant U.S. attorney Friday morning. The BPD is now investigating internally whether those officers violated any departmental policies, Williamson said. The five officers were placed on paid administrative leave last week after the U.S. Attorneys’ Office named them as targets of its investigation, Williamson said. Williamson said he could not divulge the names of the five nor could he name the officer who is expected to be indicted. He did confirm that person left the department in mid-May on a disability retirement. However, sources inside the department who did not want to be named told The Californian that the former cop is one-time Detective Patrick Mara, who was Diaz’s partner in 2012. City officials said Friday that Mara retired on May 13. Mara could not be reached for comment. In his plea agreement, Diaz admitted to seizing some 10 pounds of meth as evidence in September 2012 and returning approximately one pound of it to the department. Williamson said he first was made aware of potential corruption in February 2015. The chief took particular exception to the notion that Diaz is now motivated to clean up the department. “I can tell you that his attorney has made him … out to be some sort of crusader or savior who will save our community from corruption. And I can tell you this, he is no Serpico,” Williamson said, referring to the famous New York cop who exposed corruption in the NYPD in the 1970s. After hearing Williamson’s comments Friday, Torres reiterated his support for law enforcement. The veteran attorney has long been known as a cop’s lawyer, and he’s provided legal representation to many law enforcement officers over his long career. He said in a text message that he and his client “have the utmost respect for law enforcement and the hundreds of officers who risk their lives on a daily basis to serve and protect our community. “Let me clarify,” Torres continued, “I am not alleging there is rampant corruption in the BPD as we speak. There was, however, for several years, on a large scale, and how it was never caught by superiors is beyond me. Torres took issue with Williamson’s suggestion that the five officers were somehow tricked or convinced by Diaz to skirt the law. Manipulation, he said, is not a defense that would stand up in a court of law. Yes, he was caught red-handed. Yes, he could have opted not to debrief the government on his actions, nevertheless, he did, Torres said. According to the terms of Diaz's deal, the former BPD detective will plead guilty to federal charges of bribery, possession and attempted possession with the intent to distribute methamphetamine, and making and subscribing a false income tax return. Diaz has agreed to continue to cooperate with law enforcement in any investigation in which they require his assistance. In exchange, federal prosecutors agreed to ask for minimum sentences for Diaz. His reduced sentence could be cut by another 50 percent, depending on the level of his cooperation. The maximum sentence for the bribery count is 10 years in prison and a fine of $250,000. The maximum sentence for possession with intent to distribute methamphetamine is life imprisonment.